North Tyneside Council appointed arc4 as an experienced and qualified consultant to undertake a Strategic Housing Market Assessment (SHMA). The overall research project was to inform the production of the Local Development Framework and Housing Strategy. It was also to ensure that Development Plan Documents (DPDs) were based on a robust and credible evidence base. The final report was required to identify key housing issues that will need to be dealt with in the core strategy. We established a close working relationship with our client from the outset, and came up with a detailed project plan with agreed milestones and outcomes. We analysed a range of secondary data including existing research, house price information, social rented lettings data, CORE intermediate sales data, population and household projections and economic indicators. This complies with MHCLG good practice guidance, and helped to provide a context for the study. We conducted consultation with a wide range of stakeholders to provide a deeper understanding of issues and themes of relevance to the study area. These included representatives from: the local planning authority, housing associations, builders and developers, estate agents, social services, Homes England and others. This involved an online questionnaire - a highly cost effective way of engaging with a wide range of stakeholders - followed up with telephone and face-to-face discussions where necessary (particularly with estate agents and private developers). arc4 undertook a comprehensive household survey, providing sub-area data from across North Tyneside to inform the SHMA. The outcome has been a robust SHMA, including Objectively Assessed Need (OAN), which is fully compliant with NPPG and NPPF requirements. It has provided the council with a clear understanding of the current housing market, including the demographic and economic context, the housing stock profile, and the active market. It has also provided an indication of how the future housing market will develop (including indicators of future demand, such as changing population and economic conditions) and has forecast the level of current and future housing need across different market sectors. In line with the guidance, the SHMA has also provided details of the housing requirements of specific household groups, and the scope for addressing demand through intermediate affordable housing. The quality of the data has been enhanced through extensive publicity surrounding the SHMA, generated by arc4. This ensured excellent stakeholder engagement, enabled us to facilitate robust discussions on key challenges, and helped to establish a consensus on housing need. 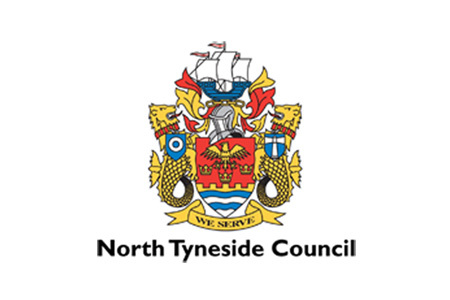 North Tyneside is now able to develop a long-term strategic view of housing need and demand, to inform key planning documents.